Countries along the Mediterranean are popular travel destinations because they often have something for everyone. Beautiful beaches, amazing food, history, and wild nightlife. The only problem? The countries surrounding the Mediterranean sea span from Spain to Cyprus. There are so many places you can go that it’s difficult to see everything in one trip! That’s why the best way to experience as much as possible is by taking a Mediterranean cruise. The Mediterranean holds an allure that gushes with luxury and romance. Read on to find the best Mediterranean cruise for your budget. Do you have a big budget to play with? Then vacation in style and luxury on a 7-night Seabourn cruise. Prices start at $3,999 per person, but the cost is well worth it. 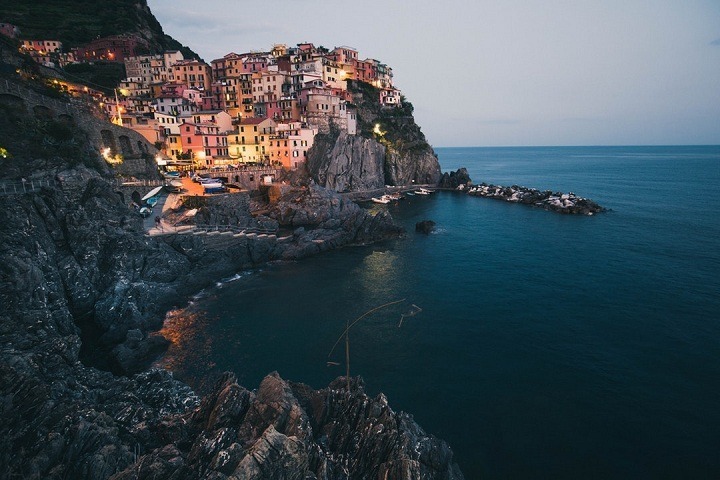 You’ll set sail in Rome, Italy and then continue on to some beautiful but underrated Mediterranean destinations like Frejus, France, and Palma de Mallorca in Spain. That means dealing with fewer tourists when you step off the ship to explore. Celebrity Cruise Lines is the best of the best, which you know if you’ve ever experienced one of their Bahamas cruise adventures. They’ll show you the same amazing time on their 7-night Mediterranean cruise through Italy, Croatia, Montenegro, and Greece. Passengers will be taking the recently renovated Celebrity Infinity ship. With prices starting at $1,249 it’s a great value for the updated accommodations. If you want to sail the Mediterranean on a budget, then Royal Carribean’s 7-day cruise is the way to do it. At $801 per person, you’ll see Venice in Italy, Split in Croatia, and Athens in Greece. Though this cruise is more affordable, you will still experience fabulous accommodations. The ship boasts two pools, an outdoor movie theater, a spa, and more. The Royal Carribean has so much to do you’ll never get bored at sea. The Princess Cruise line is another affordable option with a lot of value. Over 7-nights the ship will sail to Greece, Montenegro, Italy, and Spain. For $889, you will board the Emerald Princess ship with 3,000 other passengers. With all those people you won’t feel crowded or overwhelmed. There’s plenty of space to spread out at one of their four swimming pools! Princess Cruises is also a great option for people traveling with the whole family. There are areas of the ship dedicated to younger children and teens, plus lots of activities. You can drop them off for the day knowing they’re having fun and being taken care of. The Best Mediterranean Cruise of Your Life! Want to experience the best Mediterranean cruise of your life? You can’t go wrong with any of these choices. No matter what your budget, you can find a cruise line that will let you experience oceanic beauty in style. Do you want to see the Mediterranean but can’t get the time off? Then check out this article to learn about 10 jobs that will allow you to travel!